While we feel all relaxed. They’ll never fail on you! Despite our terrible poetry skills, we sure appreciate you as our customers and want to wish you the happiest of holiday seasons and a Happy New Year! 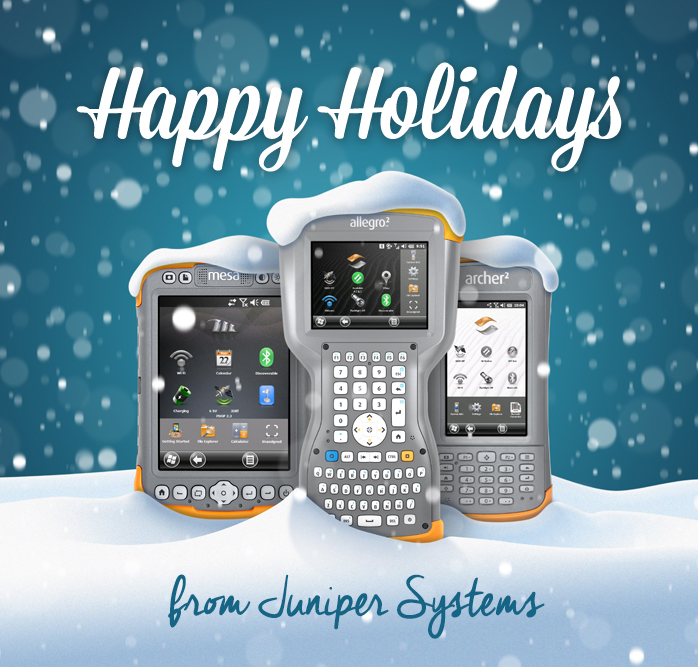 Juniper Systems will be closed December 25th, 28th, and January 1st for the holidays.